The high-desert and mountain roads of Prescott Rally in Arizona provided a fitting finale for the 2010 United States Rally Championship. 168 drivers and co-drivers participated in the sixth season of the United States Rally Championship. As in the previous years, it is the largest competitor participation of any series in North America with an influx of new drivers and co-drivers, some of whom placed high in the Championship standings below. The Year-End Awards Ceremony of the 2010 United States Rally Championship was held at the conclusion of Prescott Rally. Tom Lawless is the 2010 United States Rally Champion – Driver in the All-Wheel-Drive (AWD) category. This is the second time Tom Lawless won the Championship; his first National Championship Title came in 2005. During the 2010 season, Tom drove with several co-drivers. He won Prescott Rally and secured his Championship Title with Bernard Farrell in the co-driver’s seat. 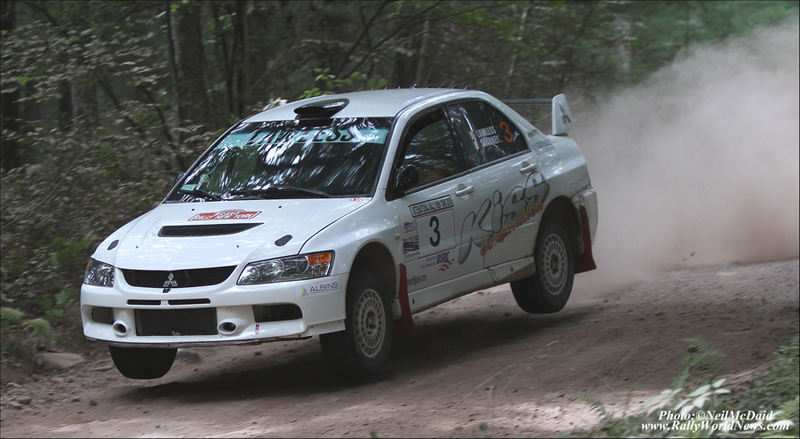 For the second year in a row, Marra Estep is the 2010 United States Rally Champion – Co-Driver in AWD category. Erika Detota is the 2010 United States Rally Champion - Driver in the Two-Wheel-Drive (2WD) category. This is the first time in the history of North American rallying that women won National Titles for Drivers. Jason Smith is the 2010 United States Rally Champion – Co-Driver in 2WD category. Jason is Erika’s Co-Driver. The Winners of the USRC AWD Production Cup are Katianna Pihakari - AWD Driver, another woman to win a National Title, and Austin Gager – AWD Co-Driver. The Winners of the USRC 2WD Production Cup are Jeff Hendricks – 2WD Driver and John Stewart – 2WD Co-Driver. The United States Rally Championship will continue its bold steps to make national competition more affordable and accessible to a larger number of rally teams. The Championship structure minimizes or, for many teams, eliminates the need for repeated cross-country travel during the Championship season by providing competition on each side of the country. The final round of the Championship at the end of the year counts both in the Atlantic Division and the Pacific Division and together with the results from all previous rounds decides the top spots in the Championship. The 2010 United States Rally Championship season consisted of a combination of snow, gravel and tarmac events. Events of the United States Rally Championship allow for reconnaissance and pace notes. Tarmac, full reconnaissance and pace notes make the United States Rally Championship unique in North America as no other series in North America encompasses all these features. More information on the United States Rally Championship is available at www.usrallychampionship.com.